In implementing either Supplier Relationship Management (SRM) or the sub process of Supplier Performance Management(SPM ) initiatives within the Oil and Gas industry it is important that we realise that three different sectors exist within the industry and that these sectors although interlinked are actually completely different. Before we look at the sectors lets get a basic understanding. “Upstream” and “downstream” are general business terms referring to a company’s location in the supply chain. The closer to the end user a function or firm is, the further downstream it is said to be. Raw material extraction or production are elements of the supply chain considered to be upstream. The oil and gas supply chain is commonly referenced in this manner. The upstream companies identify oil and natural gas deposits and engage in the extraction of these resources from underground. These firms are often called exploration and production companies. Refiners represent the downstream element of the oil and gas supply chain. Upstream – Where it all begins; the searching, exploration, drilling and development of wells to bringing the raw product (Oil & Gas) up to the surface. Oil and gas operations identify deposits, drill wells, and recover raw materials from underground. Once it has reached the surface the oil rig/vessel etc., has to store, process then transport it elsewhere e.g. using the Midstream facilities. The Upstream sector also includes related services, such as rig operations, feasibility studies, machinery rental and extraction chemical supply. 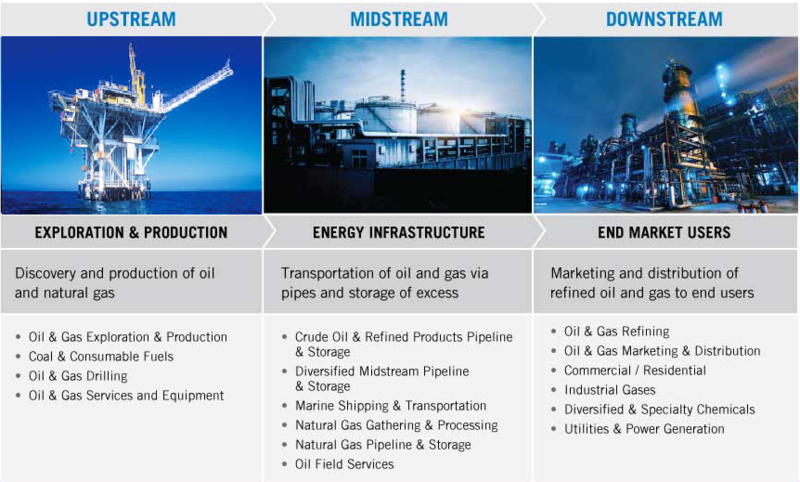 Midstream – operations link the upstream and downstream entities. This is the transportation from the rig/vessel to other sites for processing, using vessels (ships), pipelines, rail tankers and/or oil tankers, trucks; this includes any storage units before it arrives at the refinery. Midstream operations mostly include resource transportation and storage, such as pipelines and gathering systems. Downstream – This is near the end of the cycle. encompassing: refining, processing, distillation and purification before turning it into usable, sell-able and consumable products e.g. fuels, raw chemicals and finished products etc. These services turn crude oil into usable products such as gasoline, fuel oils, and petroleum-based products. Marketing services help move the finished products from energy companies to retailers or end users. “Upstream” and “downstream” are general business terms referring to a company’s location in the supply chain. The closer to the end user a function or firm is, the further downstream it is said to be. Raw material extraction or production are elements of the supply chain considered to be upstream. The oil and gas supply chain is commonly referenced in this manner. The upstream companies identify oil and natural gas deposits and engage in the extraction of these resources from underground. These firms are often called exploration and production companies. Refiners represent the downstream element of the oil and gas supply chain. The below table helps distinguish between the relevant sectors. 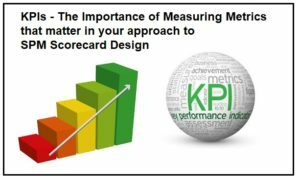 OutPerform Subject Matter Experts, Advisors and Consultants are experienced in designing and implementing Supplier Scorecards and Key Performance Indicator (KPIs) in over 300 Oil & Gas Industry specific product, category and service lines. A sample of the business lines that we have previously developed scorecards and KPIs for are listed below and broken out into Upstream, Downstream and Midstream.